Whew! 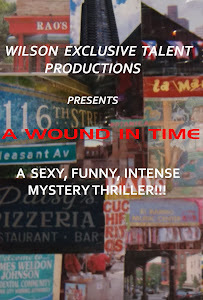 Once I catch my breath after the staged reading, after editing the trailer for my doc, I hope to begin filming the play "A Wound In Time" for international distribution in English and Spanish. During it's run at Nuyorican many out of town begged that I make it available on DVD. Well... Okay! I'm gonna do it! Stay tuned!